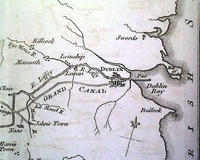 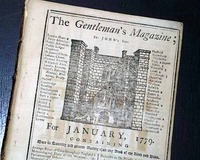 THE LONDON MAGAZINE, England, January, 1779 Inside has nearly two pages on: "Useful Hints For Learning To Swim, In a Letter to a Friend, by Benj. 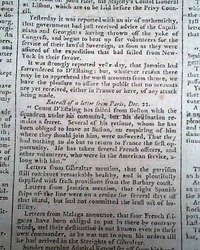 Franklin, L.L.D. 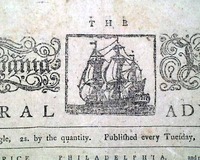 F.R.S." 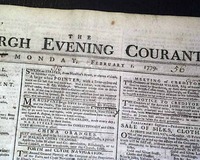 Also within: "On the Fatal Effects of Revenge" and: "On Female Conduct" & so much more. 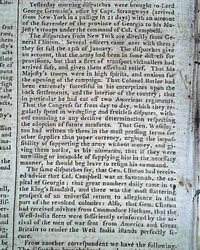 Near the back are news reports of the day but I see no war-related content. 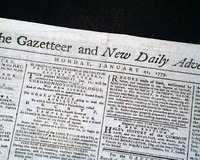 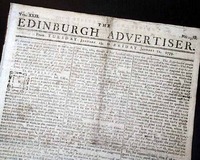 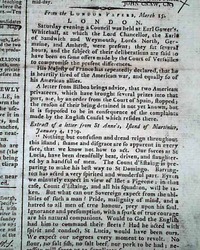 THE EDINBURGH ADVERTISER, Scotland, Jan. 12, 1779 Although from the middle of the Revolutionary War I find very little--if any--reference to it, this issue filled primarily with European reports. 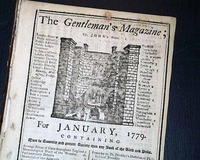 Complete in 8 pages plus also included is the single page "Supplement" issue. 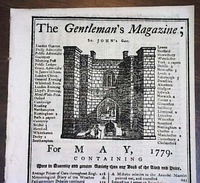 Measures 8 1/2 by 11 inches, light wear to folds, generally nice condition. 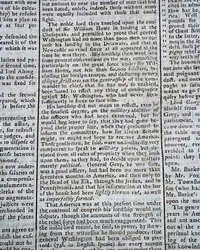 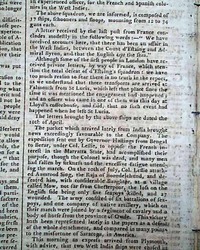 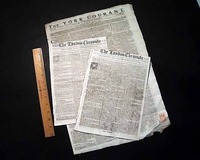 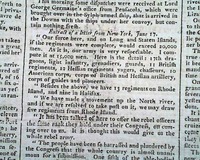 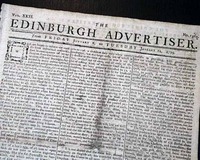 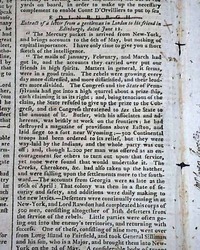 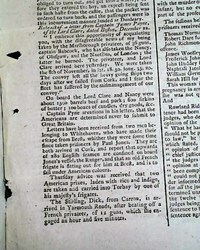 THE EDINBURGH ADVERTISER, Scotland, Jan. 15, 1779 Although from the middle of the Revolutionary War I find very little--if any--reference to it, this issue filled primarily with European reports. 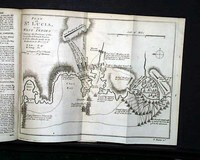 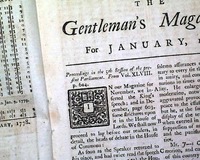 Complete in 8 pages, measures 8 1/2 by 11 inches, light wear to folds, generally nice condition. 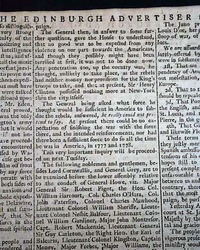 * North & South Carolina - Georgia support king ? 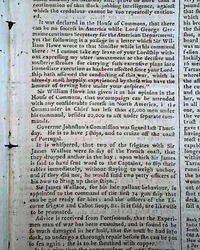 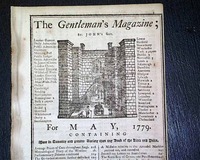 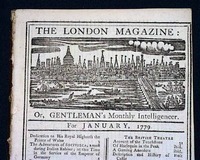 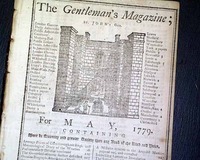 GENTLEMAN'S MAGAZINE, London, March, 1779 Inside includes the: "Second Letter from Admiral Gambier to the American Congress" which is his plea for the release of: "...an innocent officer imprisoned for being the bearer of a sealed packet..." with much more. 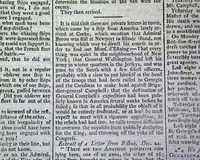 This if followed be a letter signed in type by: Francis Lightfoot Lee (see for portions). 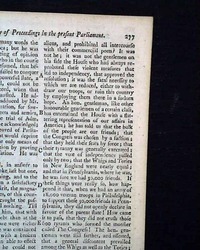 Over half of the ftpg. 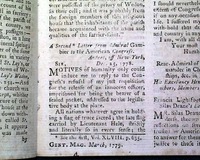 is taken up with a continuation of: "A Vote of Censure on Administration for Not Sending Out a Reinforcement Earlier Last Year to Lord Howe at New York". 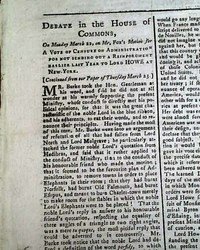 Photos show portions of the interesting argument. 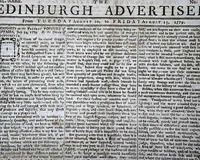 THE EDINBURGH ADVERTISER, Scotland, June 11, 1779 Inside has a letter from Petersburg, Virginia, which includes: "Our coasts are covered with English privateers...The value of the paper currency falls from day to day; people generally even begin to despise it since a number of counterfeits have been discovered..." (see). 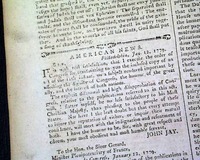 Americans about to give up? 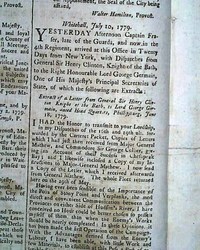 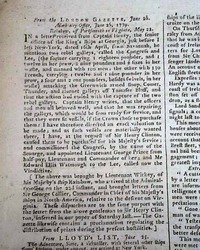 THE LONDON GAZETTE, London, July 10, 1779 The second page has a dateline of Whitehall, July 10, 1779 and carries news the "Extract of a Letter from General Sir Henry Clinton Knight of the Bath, to Lord George Germain, dated Head Quarters, Phillipsburg, June 18, 1779..." with content on America. 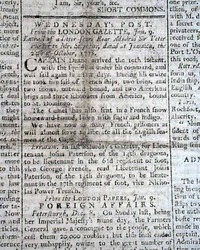 Other news and advertisements are within. 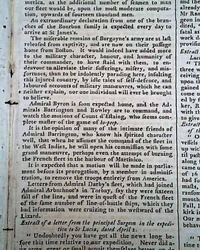 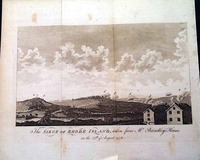 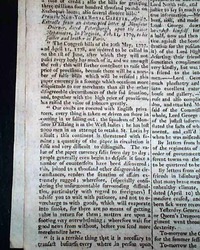 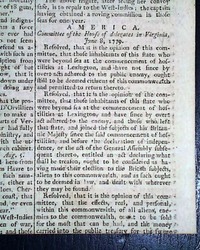 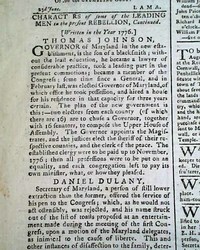 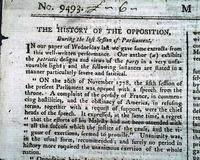 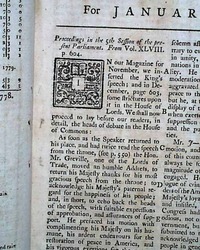 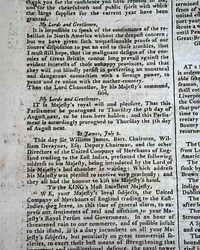 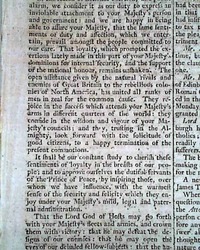 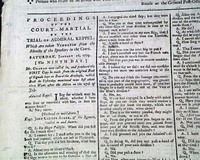 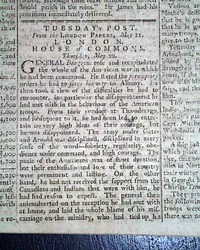 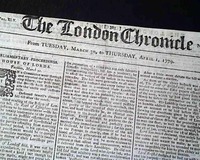 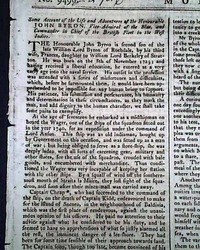 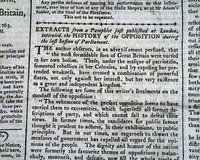 The entire front page is taken up with the continued: "The History of the Opposition During the Last Session of Parliament" which has much concerning the Revolutionary War. 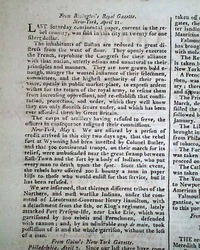 Inside is mostly taken up with European reports, although a few brief references to the Revolutionary War.